They were in Carbondale, Illinois, when last heard of. 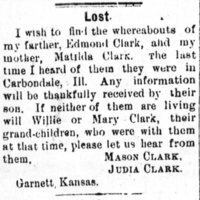 The Republican-Plaindealer (Garnett, KS), April 17, 1891, pg. 1, newspapers.com: "A four-year-old child of Mason Clark's (colored) died, Sunday evening, and was buried Monday." Although his information wanted ad does not indicate his race, this obituary for Mason Clark's child indicates that he was African American. 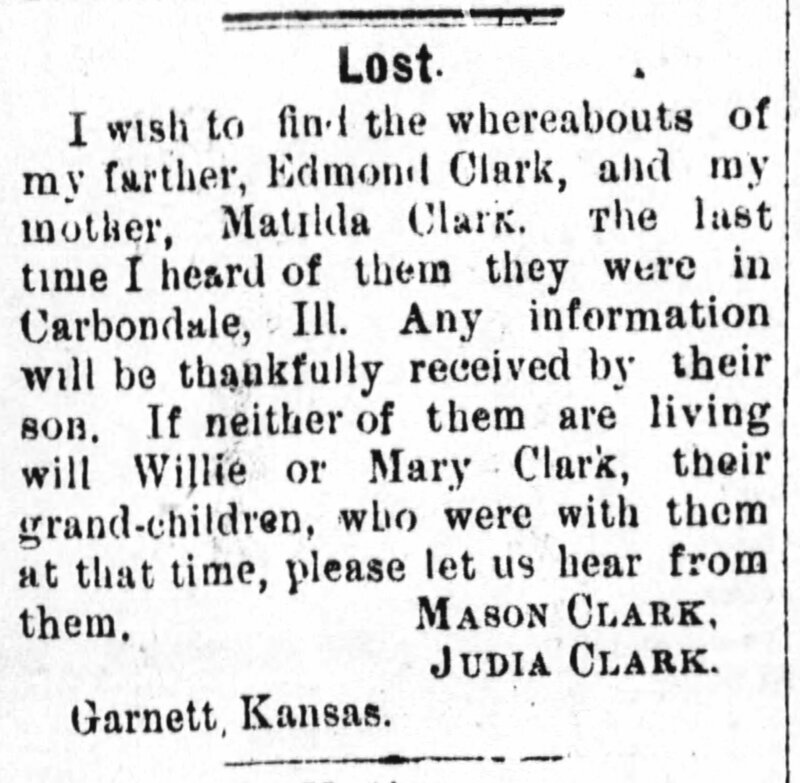 “Mason Clark is searching for his parents, Edmond Clark and Matilda Clark,” Information Wanted Ad, Baptist Times (Garnett, KS), March 1892 [published in a monthly newspaper], Last Seen: Finding Family After Slavery, accessed April 19, 2019, http://informationwanted.org/items/show/3432.